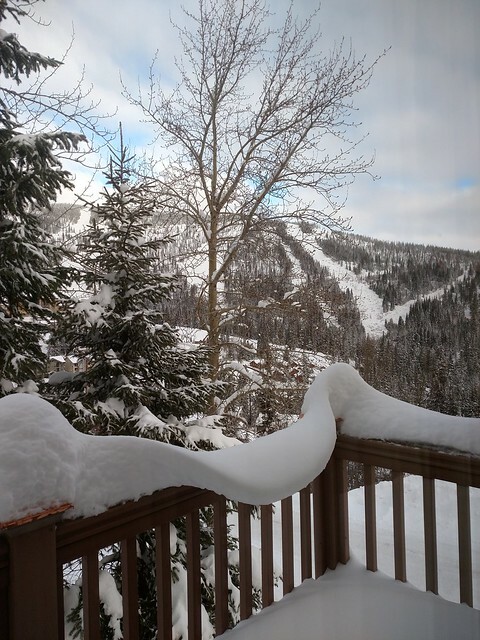 I was greeted with a beautiful winter scene outside my bedroom window this morning. 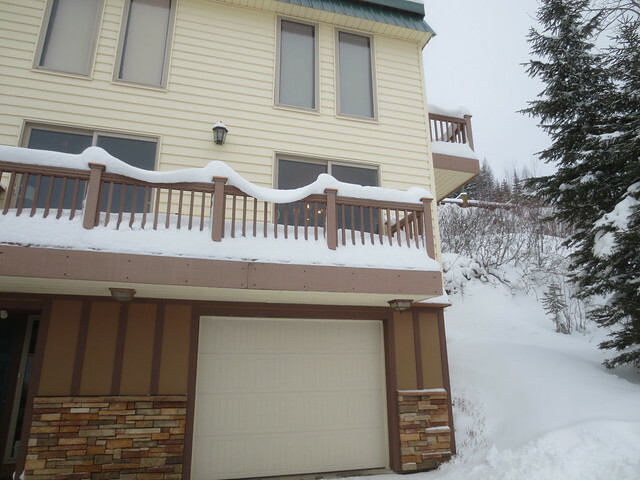 The only downside was knowing I’d have to shovel that deck at some point. The deck in front had also started to make its own garland. 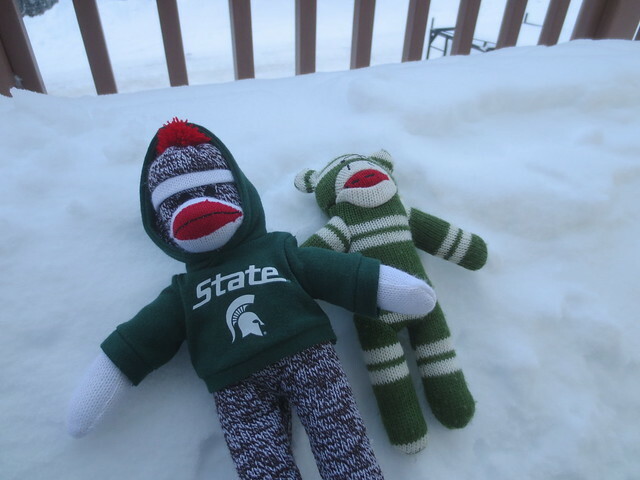 Sock Monkey and Sparty Monkey tried making snow angels, but they were not successful. Mr. Karen and I opted not to ski today. We could have gotten in a few runs after our guests left but since we have all winter, elected to wait until tomorrow to make getting all layered up really worth it. Instead, we did less fun things like shoveling and unpacking. Dinner featured a family size chicken pot pie that no longer fit in the freezer once we packed in the five Lou Malnati’s pizzas we picked up on our way through Chicagoland (dry ice for the win). Now we’re thinking we’ll go to bed early because we can.